1. Who is a beneficiary under the NPS - Additional Relief Scheme (NPS-AR)? What is the benefit under NPS- Additional Relief Scheme? Provisional Pension is sanctioned in case of death/disability of Government Employees who joined Government of India service on or after 1st January 2004 and were covered under the New Pension Scheme. This is payable to the spouse/family pensioner of the deceased Government employee or to the disabled Government employee. The additional relief is in the form of provisional pension on defined benefit lines and as an interim relief till the finalization of the pending issue of Rules& Regulations for the New Pension Scheme. 2. What is the Provisional Pension Payment Order (PPPO) under NPS- Additional Relief Scheme? b. PPPO No. contains Alphanumeric number (N+11 digits) starting with 'N'. This PPPO number is to be quoted in all correspondence as this is the key reference number. 3. How is the benefit under NPS- Additional Relief Scheme disbursed? The monthly provisional pension is paid directly to the bank account of pensioner/family pensioner electronically by the Central Pension Accounting Office (CPAO). 4. How will the pensioner receive a copy of the Provisional Pension Payment Order (PPPO)? The Pensioner's portion shall be handed over by Pension Account Holding Bank Branch at the time of the first-time identification process (Please refer to Q.5&6 below). 5. When and how will provisional pension commence? a. After Ministry has sanctioned the provisional pension, PPPO will be sent to CPAO. b. CPAO will scrutinize the same and forward the pensioner's copy and the bank's copy by Speed Post to Pension Account Holding Bank Branch with an endorsement to pensioner by Speed Post. c. On receipt of the same, Pension Account Holding Bank Branch will call pensioner for the first time identification and will hand over pensioner's copy of the PPPO. They will report back electronically to CPAO to disburse the pension each month thereafter. d. In case of pensioner do not receive a call from the Pension Account Holding Bank Branch for completion of the first time identification process after pensioner receives the endorsement of CPAO's letter to bank enclosing PPPOs, pensioners are to present themselves for identification in the bank along with the papers mentioned below. 6. What is the first time identification process? b. The Pension Account Holding Bank Branch would verify the beneficiary w.r.t. photographs and specimen signatures available in the PPPO booklet (Bank's Copy) and obtain the same specimen signatures once again in the Bank's Copy in the space provided for the record. c. On successful verification, the Pension Account Holding Branch must hand over the beneficiary's copy of the PPPO booklet. d. The Pension Account Holding Branch then confirms to CPAO, the completion of the first time identification and for the payment of provisional pension payment to start. e. The Pension Account Holding Bank Branch will also obtain the signature of the beneficiary on an undertaking authorizing recovery of overpayments as per para 12.3 of the Scheme for Payment of Pensions. 7. How many days are given to Pension Account Holding Bank Branch to complete the first time identification process of the pensioner? The Pension Account Holding Bank Branch should invite the pensioner for identification, complete the process and communicate the completion of the identification process to CPAO within seven days from the receipts of the PPPO. The first time identification can also be electronically intimated by banks to CPAO at npsdbs-exp@nic.in or fax at 011-26162083. 8. What are Pensioner's responsibilities for facilitating regular payment of Provisional Pension? a. Pensioners have to collect a copy of the PPPO after first-time identification and retain it in safe custody. b. Pensioners have to submit Life Certificate in the month of November every year. c. Pensioners have to submit certificate/undertaking for recovery of excess payment if any, on account of delay in receipt of any material information or due to any bonafide error at first-time identification stage. d. Pensioners have to ensure that nominations have been provided for the bank account. e. Pensioners have to submit Re-marriage/Re-employment Certificates, wherever applicable, in the month of November along with the Life Certificate. f. Pensioners/family pensioners are encouraged to open their pension account with bank branches which are - Real Time Gross Settlement (RTGS)/National Electronic Funds Transfer System (NEFT) - enabled, and which have Core Banking solutions (CBS) facility. g. Pensioners have to intimate any change in correspondence address to the pension account holding branch and CPAO at the address given below immediately. h. In case pensioners want to shift their bank accounts to another bank branch of the same bank or another bank, they have to apply to the Branch Manager of present pension account holding branch, with a copy to CPAO. 9. Whether the pensioner is allowed to open a joint account? If yes, with whom. a. Yes, Pensioners may open a joint account with spouse (husband/wife only) to whom family pension is authorized in the PPPO in the event of death. b. Family pensioners cannot have a Joint Pension Account. 10. Who is responsible for the issuance of pension slip, annual statements of income tax deducted and due drawn statements in respect of pension/arrear payment to the pensioner/family pensioner? a. CPAO is responsible for the issuance of pension slip, annual statements of income tax deducted and due-drawn statements. These statements shall be made available to pensioner/family pensioner through their pension account holding branch on request. b. Annual Statement of Income Tax deducted will be sent by Speed Post annually by CPAO. c. Pension Slips can also be obtained by post on request to CPAO. 11. Is the identification of pensioner done by bank one-time process i.e. only at the time of commencement of pension? No, fresh identification is required when the pensioner/family pensioner transfers the pension account from one bank branch to another (within the same bank) or another different bank branch. Pensioners also have to submit Life- Certificate every year in the month of November to the pension account holding branch, which in turn must forward the same to CPAO through e-mail/fax/speed post. 12.To whom pensioner/family pensioner can contact in CPAO for any query/grievance? 13. 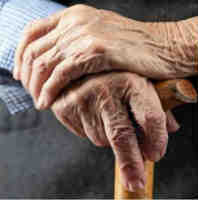 Whom should pensioners/ family pensioners approach if they have any grievance(s)? a. Pensioners may approach their pension account holding branch which in turn shall forward their grievances to CPAO.